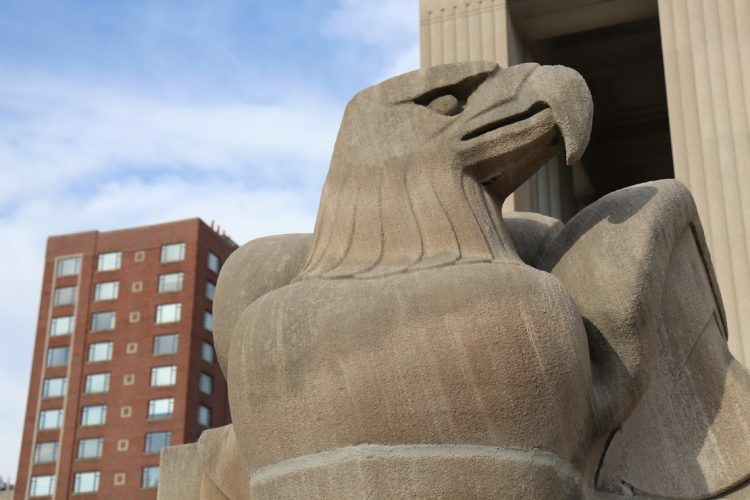 After two years of renovations and more than $30 million dollars in upgrades, Soldiers Memorial in downtown Saint Louis has reopened – and it’s wonderful. 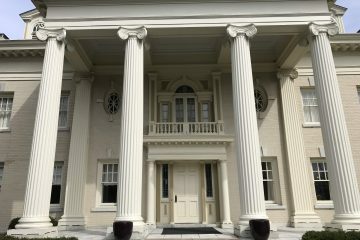 The memorial and military museum was dedicated back in 1936 when President Franklin D. Roosevelt visited town and made remarks to large crowds standing outside. 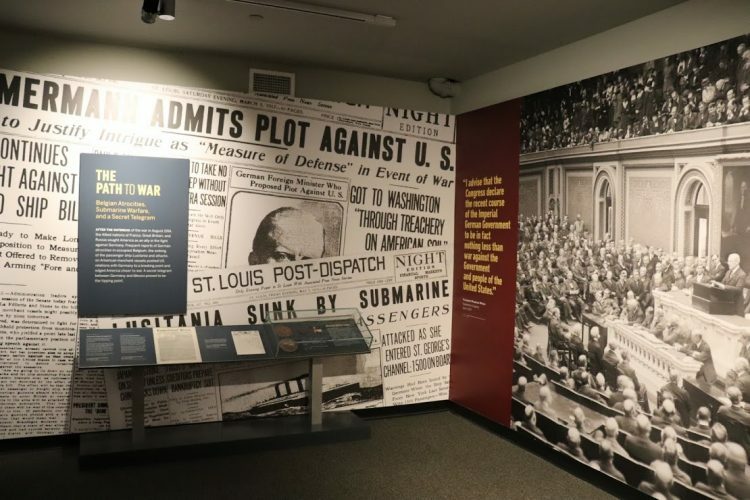 An enlarged panoramic photo from that historic event is part of the displays inside the museum. During the renovation process, light fixtures were cleaned, the elevator was brought up to code, and the guts of the building were upgraded to the standards of a 21st century museum. Even the statues that stand guard outside were all restored to their original glory. All four statues outside of the memorial have been cleaned and restored to their former glory. 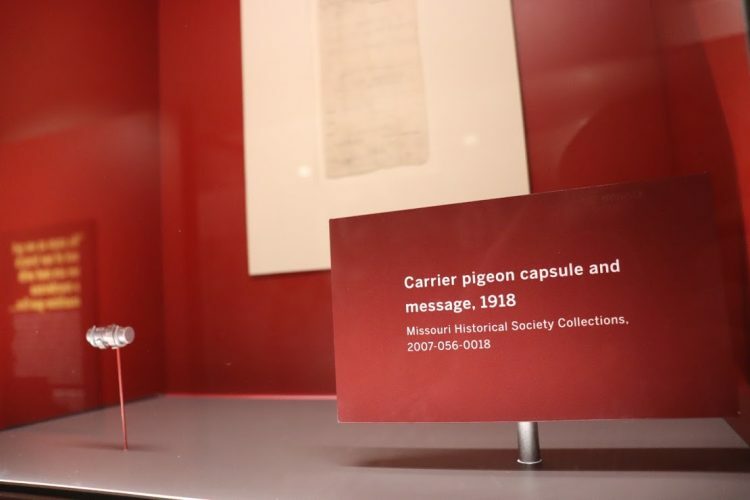 The tiny capsule used by carrier pigeons who took messages to soldiers in the field. The new exhibits are well researched and designed. Not surprising considering the memorial is now run by the same folks that operate the Missouri History Museum in Forest Park. 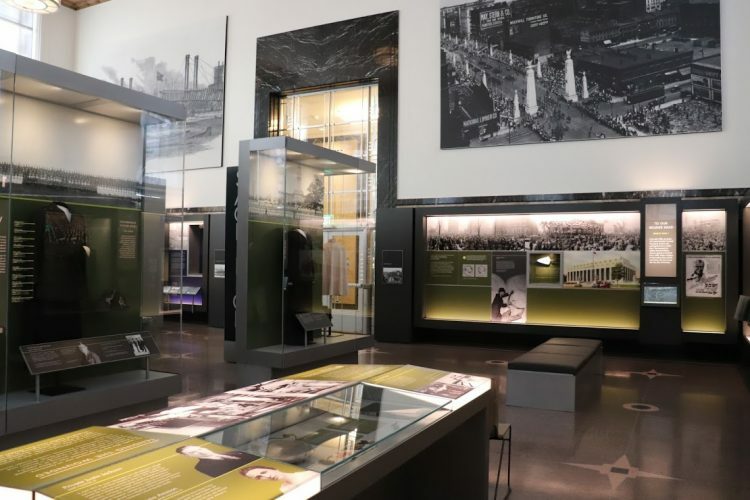 With the updates, the public can now access the lower level of the building which has exhibits mostly on the history of Saint Louis and our connection to World War II. 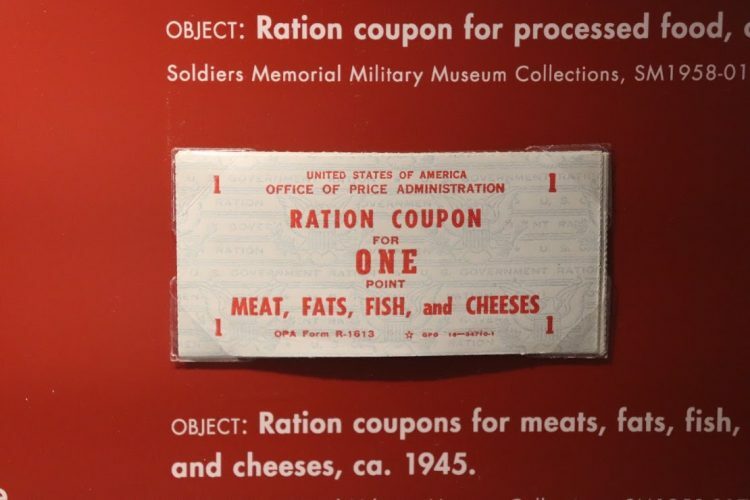 Each visitor will find their own favorite artifacts and hopefully walk away with something learned. During my visit, I learned that Saint Louis was the birthplace of the American Legion in 1919. The organization continues to be an important resource for veterans. I also loved seeing up-close an actual capsule used by carrier pigeons during WWI. The pigeons would carry messages written on small pieces of paper and deliver them to soldiers as far as 100 miles away. On the top level – be sure to read the letters sent back home from St. Louisans who served WW1. They are heartfelt and a true glimpse into the life and conditions of the brave soldiers who went into battle. Across the hall, you can see the diary of “Rocky” Sickman – a St. Louisan who was one of the hostages held in Iran for 444 days in 1979. Want to write a letter to a soldier serving overseas? You can grab a pencil, write a personal note, and drop it in a box at the museum. While it’s currently drained for the colder months, a new reflection pool is now part of the grounds. At night, the building is beautifully lit. There are also several monuments on-site that make up the plaza. Visiting is free of charge, though donations are accepted. A limited number of free parking spaces are available along the east side of the building. Also – don’t forget to look up when you reach the top of the steps. 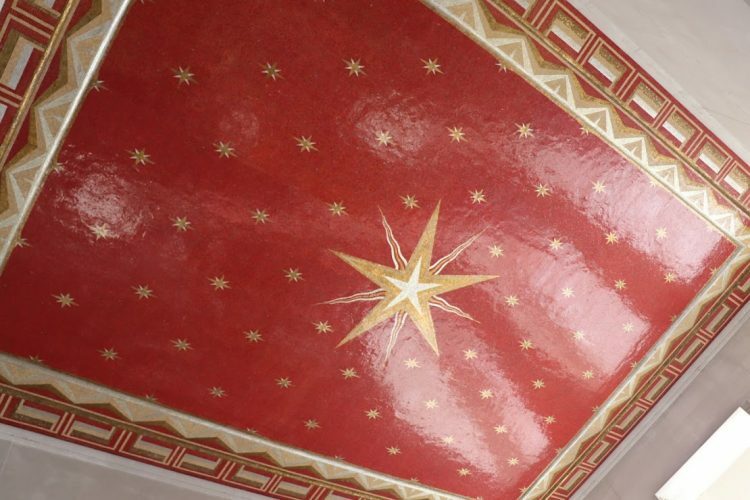 A fully restored Gold Star Mothers mosaic is back in perfect shape on the ceiling of the main memorial building.